Our group of certified welding inspectors provided nondestructive examination (NDE) and inspection for SMUD’s natural gas pipeline and hydroelectric power assets, using visual, ultrasonic, liquid penetrant, magnetic particle, eddy current, leak, and radiographic examination methods. We provided these services in compliance with ASME B31.1, B31.3, and API 1104 standards. Alta Vista reviewed submittals for welding procedures, welder performance qualifications, procedure qualification records and laboratory observations. Our team was consistently available for emergency work, routine maintenance and large-scale projects. We also developed specific NDE procedures for pipeline inspection, and trained inspection staff on any applicable standards. Specific examples of our work with SMUD include using UT examination to perform a wall thickness survey on high-pressured gas lines, providing NDE examination on pipeline-to-pipeline, valve-to-pipeline, o-let, and plug welds, and providing NDE inspection of runner bolts for cracks and corrosions. 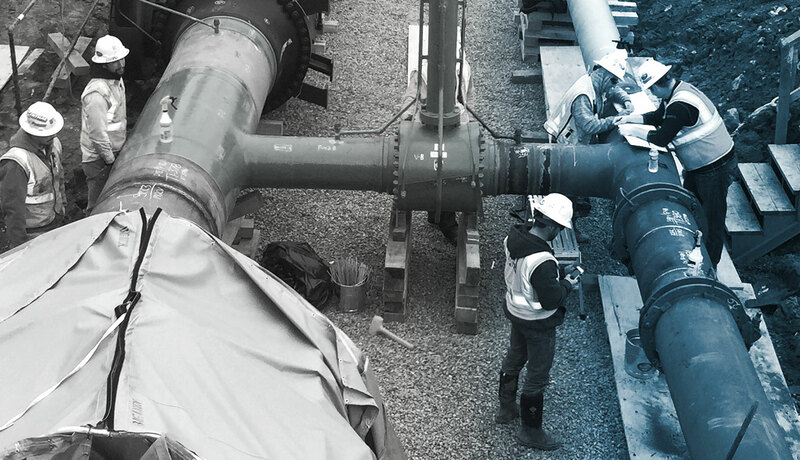 Our team witnessed the fabrication of a 20-inch valve and bypass assemble, including RT film review, and witnessed and documented hydrotest and soap-and-water testing performed during pipeline re-pressurization. We also performed VT, MT and PT for completed welds on a hot tap.